Microneedling is the insertion of very fine short needles into the skin for the purposes of rejuvenation to improve the look of scars, boost collagen, or encourage hair growth. This triggers the body to create new collagen and elastin. Results can include improved texture and firmness, as well as a reduction in scars, pore size, and stretch marks. 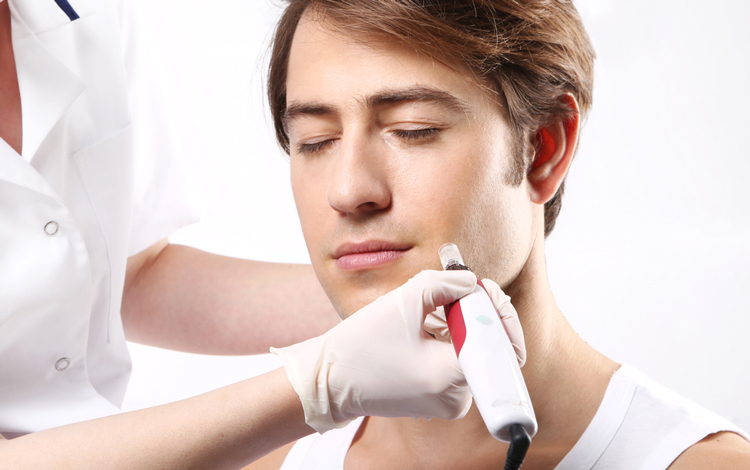 Microneedling is usually performed under the influence of a topical anaesthetic cream. The cream is applied for a minimum of 45 minutes before the procedure is started. The needle length selected for an individual patient depends upon the indication for micro-needling. Treatments with the dermaroller are performed at 4–8 week intervals and require multiple sessions to achieve the desired effect on the skin. The final results cannot be viewed immediately because new collagen continues to be laid down for approximately 3–6 months after treatment has ceased.